A South Dakota truck driver has been declared an imminent hazard to public safety and ordered not to operate a commercial motor vehicle (CMV) in interstate commerce after failing multiple controlled substance tests. The driver was served the federal order on March 27 following a list of violations that began in January 2017 when the commercial driver’s license (CDL) holder tested positive for amphetamines, a Schedule II controlled substance for which he did not have a valid prescription. Federal safety regulations prohibit a CMV driver from being on duty and possessing or being under the influence of drugs or alcohol. The driver then again tested positive on multiple occasions for amphetamines during a return-to-duty program involving multiple follow-ups for controlled substances tests performed under the direction of a substance abuse professional. In May 2018, the driver said he no longer operated a CMV, but was stopped while operating a tractor-trailer in Nebraska during July 2018 and was charged and eventually found guilty of criminal attempt to possess cocaine and one count of criminal attempt to possess methamphetamine. Despite continued failed multiple substance follow up tests and not completing the return-to-duty substance program, Hall continued to engage in interstate commerce as recently as March 2019. 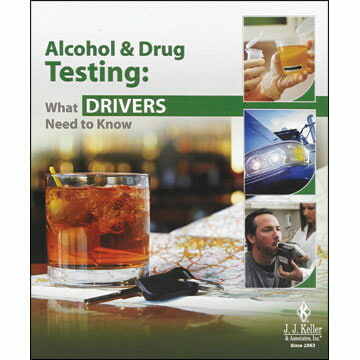 J. J. Keller's Alcohol & Drug Testing: What Drivers Need to Know Training addresses critical info drivers must be aware of regarding alcohol and drug testing requirements.